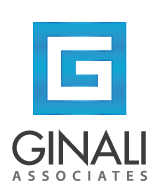 "Dedicated to Exceeding our Client's Expectations"
We at Ginali Associates, P.C. are fully and unconditionally committed to serving our clients and their needs. We recognize the subtle nuances which can either make or break the deal for our clients. As our clients have often undoubtedly already suffered enough in the way of profit loss and heartache in the course of the foreclosure process, our job and our commitment is to preserve the remaining equity as best as we are able. In so doing, we recognize each and every day an asset sits in the REO inventory is a day in which our clients are unduly continuing to carry the REO burden. . Copyright ©2014-2015 Ginali Associates, P.C.. All rights reserved.